Myself is Anup Kumar Singh. My sister in-law Lalli Devi Singh(Female-38) a mother of a son and two daughters. She is very soft spoken and used to take care of all family members including her father in-law, mother in-law husband, son and daughters. In December she collapsed and fall sick. We admitted to BHU emergency. 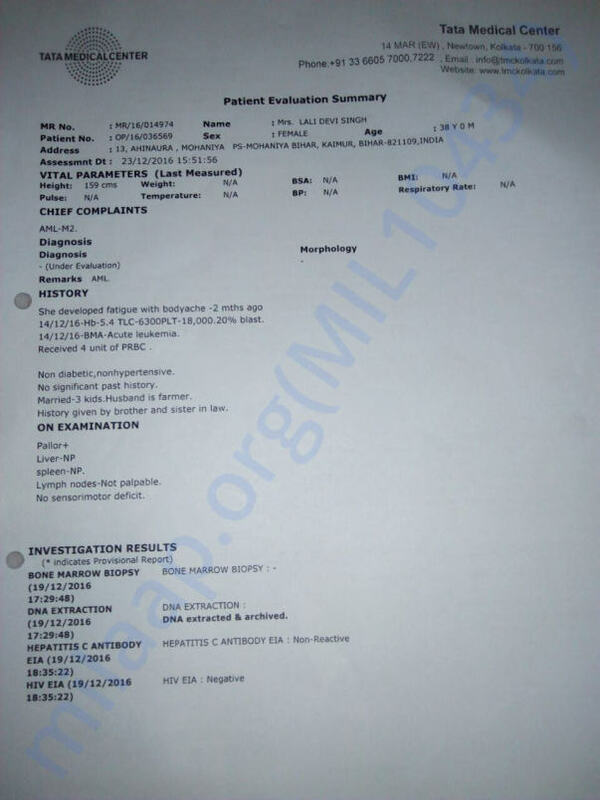 During treatment, reports came having Hgb 3.5 and diagnosed with Acute Myeloid Lukemia- M2 (ALM-M2) a type of blood cancer. Now chemotherapy is going on and doctors has suggested for Bone Marrow Transplat within 1 to 1.5 month. In fact they have given this time to arrange the treatment cost. The family is completely a farmer family. Only her father in-law is a Primary School teacher and employed. rest of the family members are doing agriculture for living hood. 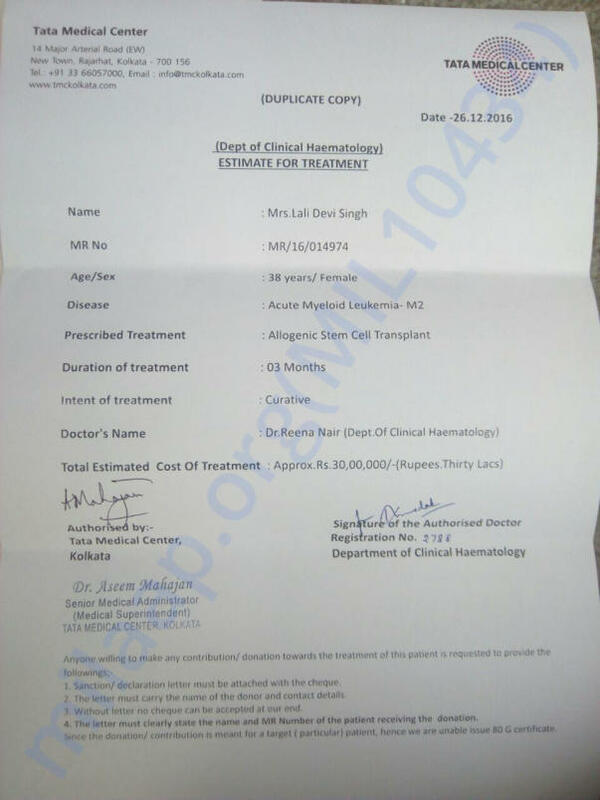 Total treatment expense estimate given by the hospital is 37 lakhs which is 7 lakhs for Chemotherapy and 30 lakhs for BMT. Anyhow we can arrange chemotherapy expanse by help of friends and relatives but unable to effort the BMT expanse which is 30 lakhs. 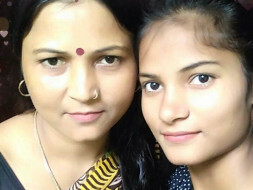 So please extend your kindliness and help her to return back to her son and daughters. Please pray God for her along with financial support. We need both. We all family will be very grateful and obliged for your kind and support. We are about to complete 3rd chemotherapy and patient will be released within 2-3 days. Later follow-ups are suggested. Thank you for the support that you have shown so far and please do share with your networks as well, thanks once again. Hi All, thank you Very much for your help and support. We are very near to win this battle with cancer. Now we have raised 15 lakhs and have gap of only 15 lakhs. Please support us and help us to raise this amount. Our prayers with you and family !